This August, Hurricane Harvey dumped 33 trillion gallons of water on the Houston area, flooding 50 counties, 100,000 homes, and 1 million cars. Along with a few Cecropia investors, my brother and his family were among those affected. In the days immediately after the water began to recede, Brooke and I put in long hours gutting my brother’s house, so that it could begin drying out. One evening, exhausted, we collapsed on my parents’ couch. As we sat, we heard the news station describe the flood as a once-in-40,000 year event. 40,000 years, really? 40,000 years ago North America was filled with mastodons, mammoths, cheetahs, giant sloths, camels, and even glyptodons (think 2-ton armadillo). Calling the flood a once-in-40,000 year event seems especially strange, when in a 1994 flood, I canoed through the same neighborhoods that flooded again in 2017. Was Harvey really a once-in-40,000 year flood, or a once-in-23 year flood? I don’t believe for a minute that the Harvey flooding was a once-in-40,000 year event. What I do believe is that the news station’s 40,000-year estimate resulted from atrocious mathematical reasoning -- the same atrocious mathematical reasoning that regularly appears in finance. Flawed mathematical reasoning -- be it in finance or in flood prediction -- commonly results from three errors: (1) the new situation not being like the past; (2) simple models not reflecting reality; and (3) humans drastically misestimating rare events. Let us look at a few illustrative cases. First, let us consider Hurricane Harvey. The first question to ask is: does reliable information exist for major floods over the past 40,000 years? I assume not. Reliable data from a USGS analysis of the 1994 flood showed that only 44% of measurement stations exceeded a 100-year flood -- meaning that 56% of measurement stations recorded flood levels that would occur more often than once per century. This data suggests that the 2017 flood falls far short of the once-per-40,000 years estimate (which takes us to flaw #3 -- humans drastically misestimate rare events). Additionally, it is worth noting that much of the flooding happened near waterways that have been dammed. The dams altered the water’s natural flow, but above and beyond this, some allege that improper release of water from the dams made the flooding worse than it would have been. Clearly the dams complicated Harvey’s effects, and that brings us to flaw #2 -- simple models may not reflect reality. From Harvey, let us turn to the world of finance. Long Term Capital Management (LTCM) was a multi-billion dollar hedge fund founded in 1994 by a group of elite bond traders and two Nobel prize winners. For the first four years, LTCM returned 21%, 43%, 41%, and 27% with relatively little volatility. Under the covers, LTCM executed a conceptually simple strategy. LTCM looked for cases where one bond was cheap relative to another bond. When LTCM found such cases, it would sell the expensive bond and buy the cheap bond. Frequently, this meant that LTCM had bought less liquid bonds and had sold short highly liquid bonds. Furthermore, in order to juice its returns, LTCM leveraged this trade by more than 25-to-1. Faced with such an anomaly, investors panicked, driving up the prices of liquid bonds (which LTCM had sold short) and driving down the prices of liquid bonds (which LTCM had bought). This adverse change in the bond spreads, combined with LTCM’s massive leverage, lead to crushing losses. In the end, 1998 was not like the years preceding it: Solomon Brothers, a major bond-trading player, exited the market, and the odds of Russia defaulting on its bonds were far higher than LTCM anticipated (see flaw #3: humans drastically misestimate rare events). These logical errors not only wiped out LTCM’s investors, but they required the Federal Reserve to bail out LTCM’s creditors to avoid a widespread failure of the financial system. For the third case, let us consider a contemporary example: Bitcoin. Bitcoin is a decentralized digital payment system based upon cryptographic algorithms. Bitcoin allows users to transfer payment, more or less anonymously, without the need for an intermediary, such as a bank. Two theories about Bitcoin prevail. The first theory rests on the fact that Bitcoin is designed to have a maximum of 21 million Bitcoins. These Bitcoins are “mined” by running computationally expensive calculations on a computer. This fixed size leads some people to assert that Bitcoins are analogous to stores of value that have a fixed total size, such as gold. By extension then, the fixed-size theory says that Bitcoins must have an intrinsic value, because there are only a finite number of them. The contrasting theory, proposed by others like Warren Buffett, is that Bitcoin resembles a checkbook -- a mechanism of transmitting value -- and therefore, it has no inherent value. In both cases, the analogies draw on past beliefs, and as we saw with flaw #1 -- sometimes the new situation is not like the past. Which theory will be right? Do Bitcoins have intrinsic value, or are they inherently worthless, like the pages in a checkbook? Does a sane foundation underpin the Bitcoin craze (see the figure below for Bitcoin’s price history), or is Bitcoin the modern equivalent of buying tulip bulbs in Holland in the 1630s? Whatever happens, it is unlikely that both theories will prove correct. Let us think about Bitcoin in terms of flaw #3 -- how humans drastically misestimate the odds of low-probability events. The first risk case is fairly straightforward. Since Bitcoin offers a reasonable amount of anonymity, various types of criminals have popularized Bitcoin for transferring assets. In the most notable instance, until the site was shut down in 2013, essentially anything, including heroine, driver’s licenses, stolen credit cards, and weapons, could be bought from the Silk Road website and paid for anonymously with Bitcoin. In another notable case, a virus held Los Angeles Valley College computers hostage for $28,000 in Bitcoins. The US and Chinese governments have begun scrutinizing this illicit money transfer and money laundering, imposing financial regulations, like Know-Your-Customer. Such scrutiny may make transacting illegal activities more difficult with Bitcoin, and that may reduce demand. A more interesting risk case is quantum computing. Bitcoin’s cryptographic algorithms assume that certain calculations are fast to perform and certain calculations are slow to perform. This computational asymmetry is at the root of Bitcoin’s security model. However, quantum computers throw a wrench into this security model. Unlike classical computers which use on-off switches (zeroes and ones), quantum computers use the physics of quantum mechanics to perform calculations. Because quantum computers work via a completely different mechanism than classical computers, quantum computers can make quick work of many classes of problems that are very difficult on classical computers. In the last decade, we have seen massive progress in the effort to develop a general-purpose quantum computer, and within a few years, quantum computers should be available which can crack Bitcoin’s cryptographic algorithms, assuming that some government entity does not already have such computers. In this scenario, have Bitcoin’s proponents correctly estimated the threat from quantum computers? After all, how would you like to have your net worth in a currency that can be hacked? In all three cases -- Harvey’s flood, LTCM’s collapse, and Bitcoin’s spike -- people fell prey to the same flaws in their mathematical reasoning. Whatever decision you face (For instance, is flood insurance worth the cost? Is Bitcoin a money maker or a mania?) remember: (1) the new situation may not be like the past; (2) simple models may not reflect reality; and (3) humans drastically misestimate the odds of rare events. 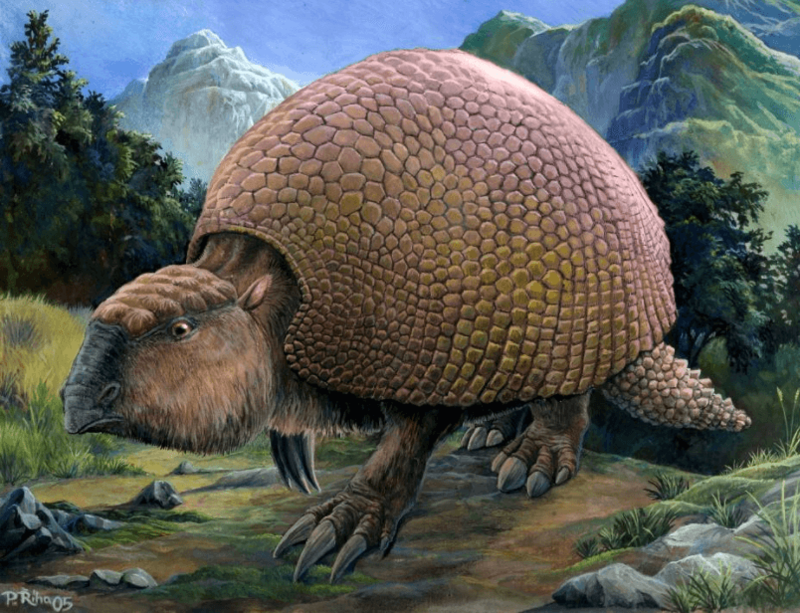 Two-ton armadillos roamed the earth 40,000 years ago, and however far-fetched, rare, or unimaginable your worst-case scenario seems, it may be more likely to happen than you imagine.